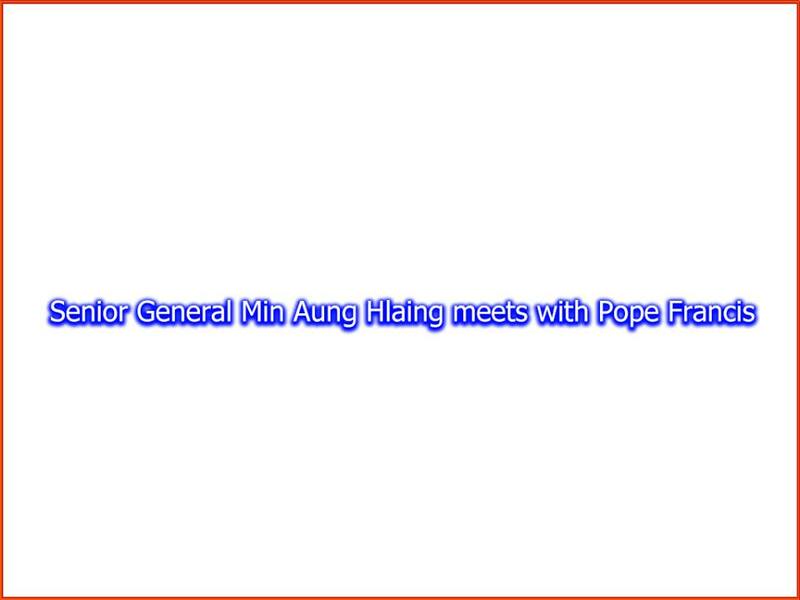 Commander-in-Chief of Defence Services Senior General Min Aung Hlaing called on Pope Francis who is on an official goodwill visit to Myanmar at the St. Mary’s Cathedral on Theinbyu Road in Yangon this evening. Also present at the meeting together with the Senior General were senior military officers of the Office of the Commander-in-Chief (Army). Pope Francis was accompanied by Cardinal Charles Bo, Archbishop of Yangon of Myanmar Catholic Association. 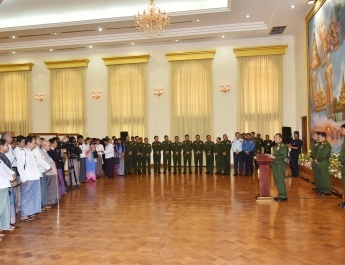 During the meeting, the Senior General said he welcomes the Pope’s Myanmar visit. All religions are in favour of the eternal principles – peace, unity and justice. There is no religious discrimination in Myanmar as the country ensures religious freedom. Similar rights are given in the Tatmadaw. 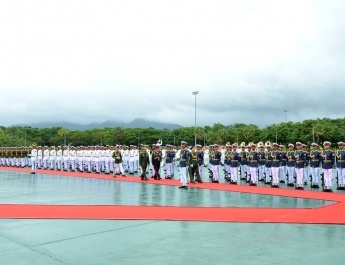 The Tatmadaw is making efforts to restore peace, and wish of all Tatmadawmen is to ensure peace of the nation. Myanmar has no discrimination among the ethnics. Pope Francis expressed his surprise and pleasure as he was accorded welcome by the people on his arrival in Myanmar. 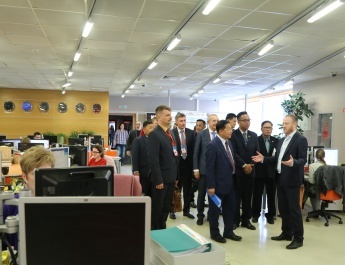 He is delighted at the plan of meetings with leaders from all religions. Abiding by the advice of respective religions can contribute much to progress of political affairs. Mutual respect among the religions can build the nation with prosperity. He expressed his delightedness for knowing internal peace process in Myanmar. All must try hard to ensure peace and stability of the nation. Later, the Pope prayed for ensuring peace, tranquility and development of Myanmar. After the meeting, the Senior General gave Myanmar traditional harp and Myanmar handicraft lacquerware alms bowl to the Pope as souvenirs while Pope Francis rewarded the insignia of the Pope to the Senior General.